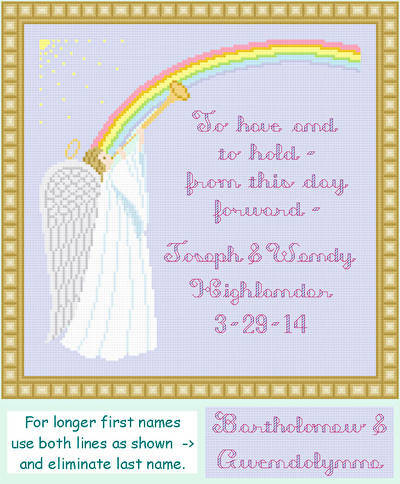 Thee I Love cross stitch pattern... An angel is blowing a trumpet in front of a rainbow to announce that there is a new couple. An extravagant alphabet is provided. Wedding colors may be used. Whole and back stitches are used.